HCM City (VNA) – An exhibition on pottery products of Vietnam’s southern region kicked off in Ho Chi Minh City on August 3. On display are more than 150 pottery products of 100 collectors nationwide. They are used in construction, daily life and decoration. Visitors to the exhibition have the chance to study about epigraphy through words drawn on the southern region’s pottery products. 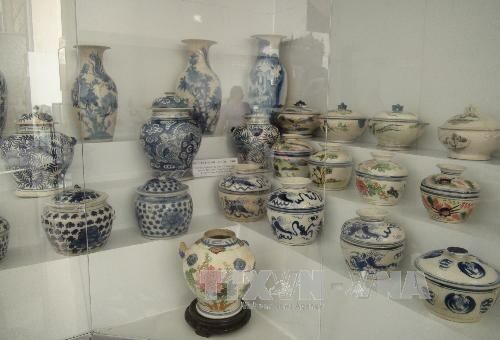 According to experts, the exhibits show development history of pottery and the southern region in early the 20th century, as they were used in the daily life of local people in southeast and southwestern regions. Currently, the southern region’s pottery products are divided into four types, namely Cay Mai, Sai Gon, Lai Thieu and Bien Hoa.